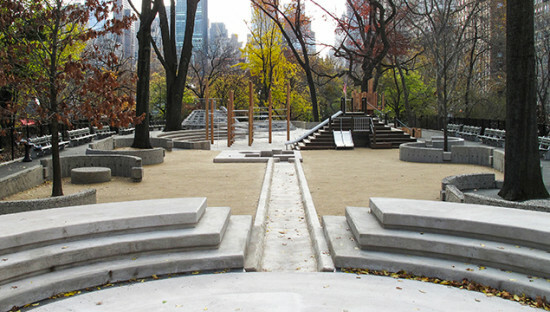 The Richard Dattner–designed Adventure Playground, one of New York City’s most beloved recreational spaces, recently reopened after a yearlong renovation by the Central Park Conservancy. A companion Dattner park, Ancient Playground, underwent extensive renovations in 2009. Despite Ancient’s ostensible claim to primacy, Adventure Playground opened in May 1967. 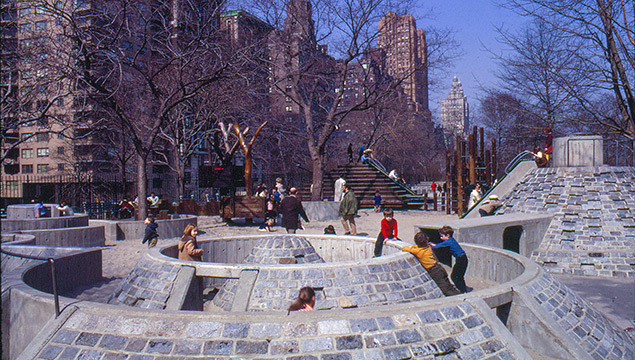 Though the playground, at Central Park’s well-trafficked West 67th Street entrance, has been popular since its unveiling, adventure playgrounds are an old idea. First conceived by modernist landscape architect C.Th. Sørensen, adventure playgrounds are quirky spaces that engender curiosity and encourages a range of passive and active recreation. In sharp contrast to mass-manufactured playsets, the playgrounds feature tree forts, mounds, tunnels, raw dirt, and water. Adventure playgrounds encourage prosocial behavior like cooperation and planning: children are given tools and materials for contributing to, and reshaping, the space. Emphasis is on calculated risk in a loosely controlled environment. The Land, Europe’s newest adventure playground, permits children to use sharp tools and start fires under the watchful eyes of trained play facilitators. In Europe, adventure playgrounds incorporate more natural and found elements, while their U.S. counterparts are more designed. For his playground, Dattner was inspired by Isamu Noguchi’s landforms, as well as the work of M. Paul Friedberg, one of the first architects to put the idea of “linked play” into practice. Dattner looked to Noguchi’s 1933 proposal for Play Mountain, a block-long sculptural installation that could be used for sunbathing, lounging, and sledding in the wintertime. 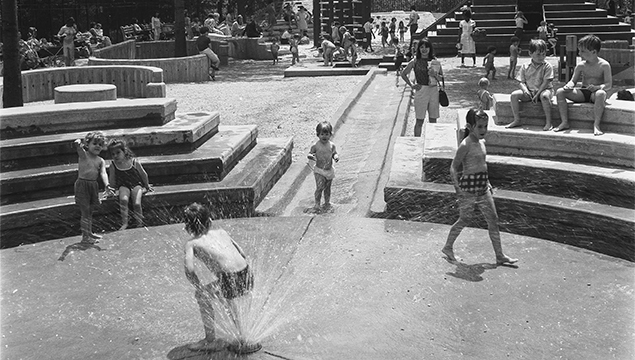 (Over 40 years later, Noguchi did get to build a playground, of a different design and scale, for Piedmont Park in Atlanta.) 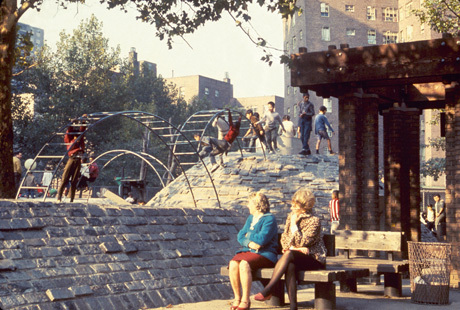 As part of a plaza design at the Jacob Riis Houses in the East Village, Friedberg conceived of the playground as an immersive environment, creating mounds, pyramids, and treehouses that would intrigue and engage children. In the 1960s, Central Park was a small forum for the larger fight against encroaching decay that occupied much of the city. Activists and parents, dissatisfied with the quality of the park’s play spaces, agitated for the rebuilding of nine of Central Park’s 18 playgrounds. With help from a Lauder Foundation grant, Dattner designed five of these. Adventure playgrounds fell out of favor as a growing culture of litigiousness prioritized safety over the risk inherent in the adventure playground’s design. Consequently, the renovations align with contemporary standards of safety and accessibility, while restoring features lost over time. 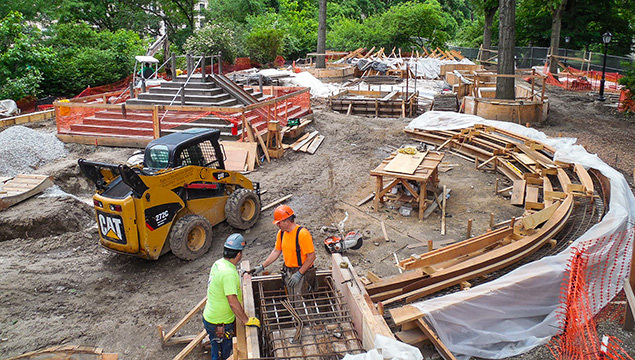 The renovation of Adventure Playground is part of the Central Park Conservancy’s comprehensive plan to renovate or rebuild all 21 of the park’s playgrounds. The grade of the maze will be changed, and railings modified or added. Tunnels that were closed in the 1970s on the conical climber will be reopened, and a new wood climber that aligns closely with the original design will be installed. The water feature will be rebuild, based on its original design. New fences are lower, integrating the playgrounds with the surrounding park. 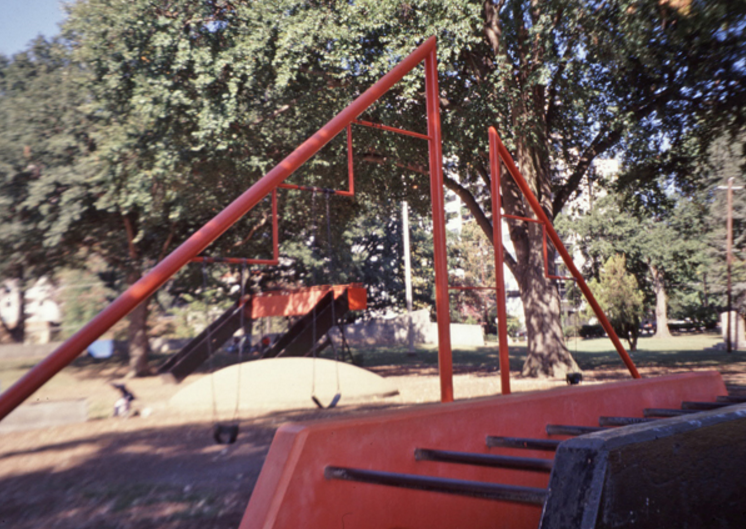 Adventure playground enthusiasts can visit the park’s four other adventure playgrounds, as well as the one uptown, in Highbridge Park.